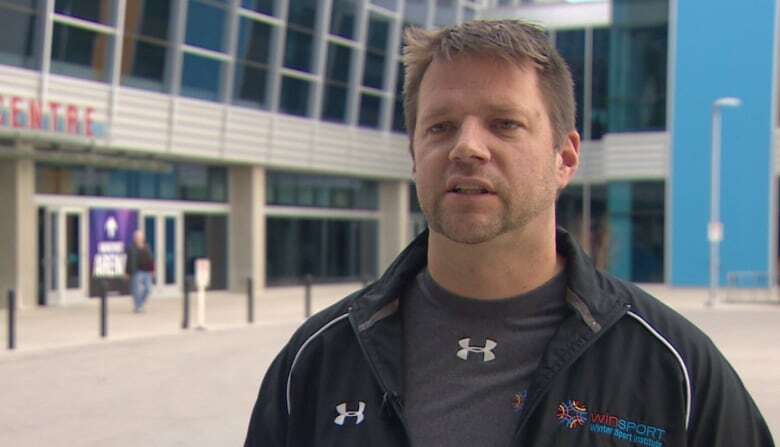 A Calgary man felt he had been punched in the gut when his old recreational hockey team asked him not to play in the playoffs after he came out as gay. Instead of hanging up his skates, Mike Bell decided to create a gay hockey team — the first in the city and the province. An incident that initially felt like a punch to the gut inspired a Calgary man to push for change, for himself and others like him. 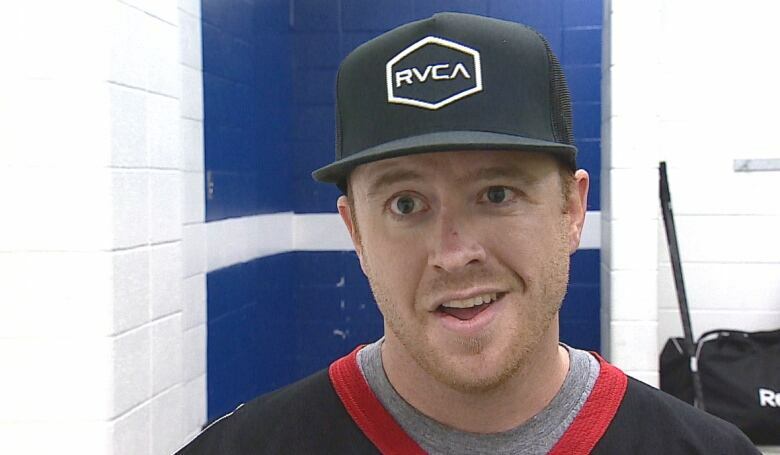 Mike Bell is gay and he loves playing hockey and the camaraderie that goes with it. "It is just a good group of guys. We all have fun, we all go for beers after," Bell told CBC News. But Bell's experience with the game at the recreation-league level was not always pleasant. "I came out to my team that I was playing with in rec hockey a couple of years ago and that year I was asked not to play in the playoffs with them, which essentially led to not playing on the team," he said. "I took that as an opportunity to address who I was playing with and what I really wanted to get out of recreation hockey." Bell was surprised to learn that WinSport — a non-profit group that runs winter sports facilities — didn't have any specific rules related to LGBTQ and other slurs on the ice. He approached Winsport with some friends and they worked together to add some rules to eliminate anti-gay and other slurs on the ice. "We developed a zero-tolerance policy with their hockey league," Bell said proudly. And just over a year ago, the Calgary Pioneers team came into being. "We started a team with WinSport as well, which is an exclusively LGBTQ-focused team. It's the first in Calgary and the first in Alberta." Bell said recruitment started slowly, mostly word of mouth and a few Facebook posts, but the team had 15 players on the roster the first year of the Calgary Pioneers. "We are more about the community with the team than we are about winning games. I feel like we are there to create a safe environment, safe community. And we really want to get the word out there, that if you are a gay player or a gay athlete, that it is OK and there are other people like you. If you can play the sport you should be able to play without having to worry about any of the locker room scenarios," Bell said. Shane Meahan, a league coordinator with WinSport, said there have been some incidents on ice that needed to be addressed. There have been about 10 incidents involving homophobic language in the past two years, he said. "The events that have happened have made people feel uncomfortable and it is that uncomfortable feeling that we want to avoid," Meahan explained. For Bell, a team, and a league, that is accepting and tolerant is a win-win. "Homophobia still does exist out there, as much as we don't want to think it does, it still lives out there, pretty prevalent even in the younger generation. I am glad this turned into a silver-lining situation where I could make the most of it and turn it into a positive situation, which it has been," Bell said. Meahan said change is slow, but it's happening. "The culture is changing," the league coordinator said. "Historically, hockey has been a sport where the rules kind of go out the window for that hour, hour and 15 minutes. People pay a lot more attention now to their opponents and they are treating each other as they would colleagues." Bell said there is buy-in for what the Calgary Pioneers hope to accomplish, creating a safe space for gays to play. "You want to have people around you that are supportive of what you are trying to achieve in terms of an environment," he said. "If you have a whole team trying to create that safe environment, that is a lot more effective than having one person trying to create that environment."